Thank you to Stuart Waddell fishing with Kevin Arthur on Wester Elchies, Friday 4th and Saturday 5th April for the following report. Just 10 minutes after we started in Pol Brock, Kevin had his first fish of 18lb covered in long tailed lice. About 5 mins later I had my first fish of 8lb – as ‘fresh as a daisy’ too. I went down to Delene and landed another Springer of 7 lb at the tail of the run, which had some significant seal/dolphin damage, but was safely returned, to give it a chance. After lunch Kevin landed a sea-liced 6 pounder in the neck of Delagyle. While he was changing his fly I hooked into another fish about the same size and condition, which unfortunately came off just at the net. At the end of the day I landed another Springer of 15lb half way down the boat pool, which looked similar to Tam o Shanters horse Meg, as a seal had left it “scarce of a tail “! It put up some fight too – even though it was running on half power. What a fine end to the day. 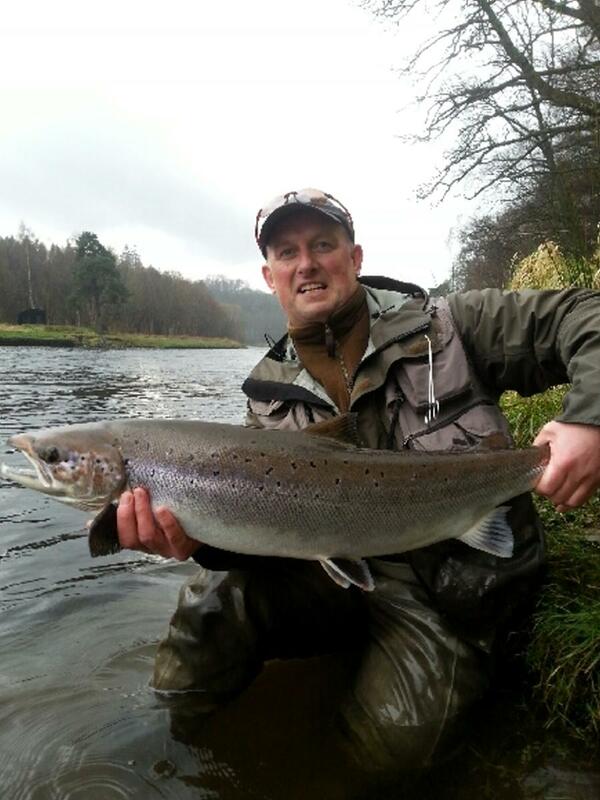 Saturday, I was fortunate to land another sea-liced springer of 6lb out of The Ryind. All the fish were safety returned, and the fly that did the job was a Tungsten Conehead Cascade.